A mix of clouds and sun during the morning will give way to cloudy skies this afternoon. High 82F. Winds SW at 10 to 15 mph..
Cloudy. Slight chance of a rain shower. Low 57F. Winds W at 5 to 10 mph. due to following the other vehicle too closely. Deputies determined through investigation that this driver was under the influence. This individual was charged with operating a motor vehicle under the influence – first offense; following another vehicle too closely; careless driving; failure to wear seatbelts. 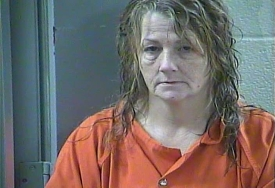 This individual was lodged in the Laurel County detention center.